EPIC2016 Keynote Speaker John F. Sherry is the Raymond W. & Kenneth G. Herrick Professor of Marketing in the Mendoza College of Business and Professor of Anthropology at the University of Notre Dame. Join John at EPIC2016! I caught up with Dr. John F. Sherry, joint professor in Marketing and Anthropology at the University of Notre Dame, in late spring, right after exams. John has had a prolific career in ethnography as a practitioner and theorist, with 10 books, over 100 articles, and numerous consulting engagements to his name. He is a collaborative scholar, and quick to point out others’ influence on his work—Sidney Levy, Joel Cohen, William Wilkie, H. Russell Bernard, Marvin Harris, and more. 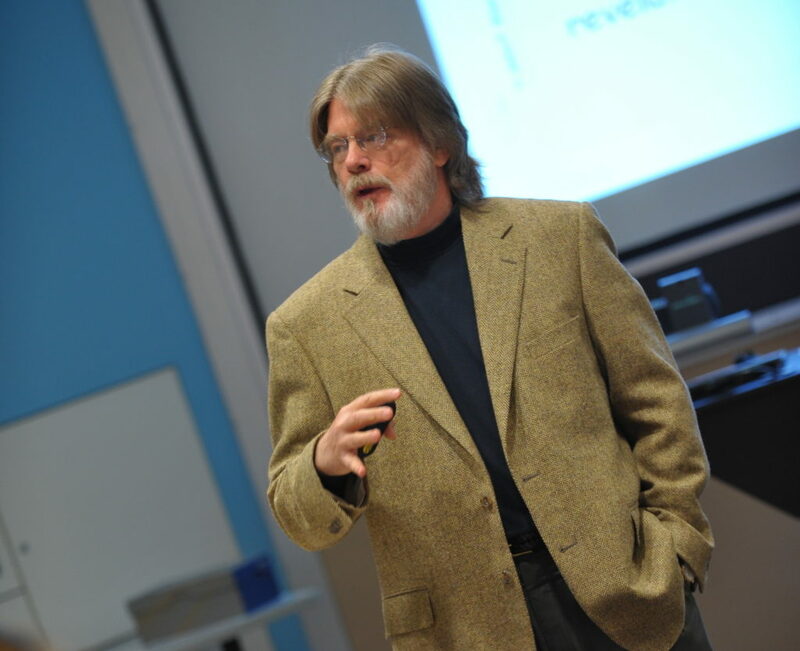 In addition to his work on brand strategy and consumer behavior (among his many distinctions, John is past president of the Consumer Culture Theory Consortium), John has had “a long term investment in placeways—retail, atmospherics, that kind of thing,” which he says resonates with the work of more traditional anthropologists. 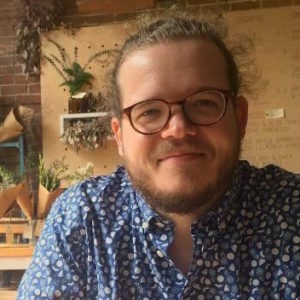 “I doubled in English and anthropology as an undergraduate because I thought they were cognate disciplines—they were both ways of understanding human behavior and they both had pretty interesting ways of capturing and presenting that information. I was interested in anthropology almost as a bridge: I wanted to do creative writing, and I thought anthropology would be a really good way to amass enough interesting events to give you a background and inspiration as a creative writer. However, while he finished up his dissertation working at a hospital in central Illinois, an opportunity came along that caught his attention. It worked. He got the job and stayed at the University of Florida for two years, immersing himself in consumer research and learning a lot from psychologists in the field. Then he took a job at Northwestern University, where Sidney Levy—“if not the founding father, then one of the fundamental leaders of what became the consumer culture theory movement”—was chair of the marketing department. Influenced by his colleagues at Northwestern, he gradually moved from consumer behavior to marketing. “Because I was practicing in kind of a host discipline, where people were trained as modelers or experimentalists and were pretty unfamiliar and skeptical as far as ethnography was concerned, I had to do not only a lot of teaching and justifying and defending what I was doing, but I think my skills were honed more sharply as a result of having to justify it. I paid extra attention to being systematic when I was doing participant observation, or extra attention to the way that I would try to elicit lived experience from people in an interview in order in part to be able to demonstrate to colleagues who weren't trained in the area just how much mileage you could get out of methods that weren't quantitative or experimental." "A colleague and I are currently writing papers on a multi-year study of collegiate tailgating. 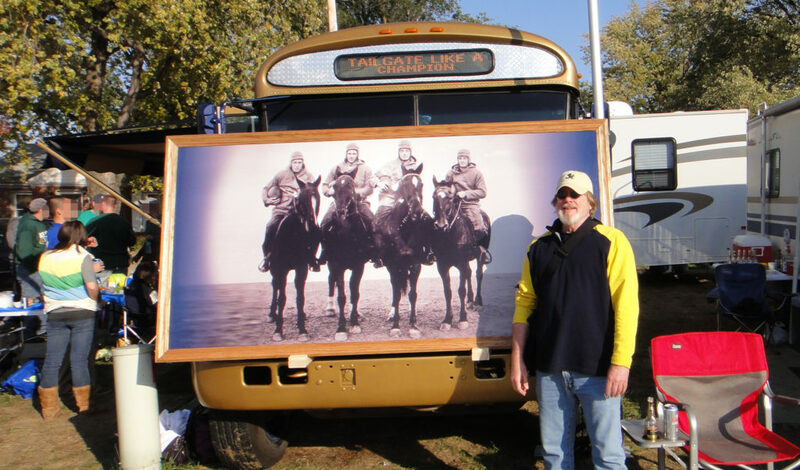 This photo shows me standing before a tail gate encampment that is tricked out with themed artwork." While this kind of collaboration has blossomed in recent years, John thinks some things are still missing. True to his background as an interdisciplinary bushwhacker, he wishes we would see more cross-disciplinary training in business schools and graduate schools. This is already a relatively common practice in marketing departments, which are often home to scholars with other backgrounds (just look at John’s history at the University of Florida, Northwestern, and Notre Dame for examples). From John’s perspective, giving graduate students the opportunity to develop complementary skills in anthropology and paths disciplines would improve the quality of work being done and expand the scope of ethnographic inquiry. "The first is, linking ethnography with some body of theory—whether it comes from anthropology or sociology or clinical science or education. One of the challenges is to stress to all the different stakeholders that we address that it's not just ethnography that we bring to the table as business anthropologists, but it's a perspective of the world, it's an understanding of human behavior that's grounded in long traditions of theory. “The other is ‘ambition management’—I guess that’s the best way I would describe it. Ethnography is a really labor-intensive practice, and as a result can be very expensive as a research technique. And so, practitioners have to really work overtime to keep their approach within the range of what's been called 'diagnostics research' [and] 'rapid appraisal'. In an era where businesses are really concerned about the costs of doing research, we really have to manage the ambition that our client might have to make sure that we are able to do the kind of thorough work that needs to be done in order to get a decent interpretation and a decent managerial intervention. “I think there's one other challenge that goes along with this. Ethnography's been kind of a methodological darling for the past decade. It came almost from out of nowhere, then through the hard work of some pioneer practitioners and academics it came into vogue at firms. But now we're seeing the rise of analytics, big data, neuromarketing, netnography. So our ability to articulate our approach in light of these other kinds of emerging trends is going to be really important; we don't want to be bumped out of the methodological toolkit as firms start running their clients and consumers through MRI machines." Paul Otto holds an MA in Social Sciences from the University of Chicago, and a BA in Anthropology from DePaul University. His interests include organizational & consumer cultures, design, and user experience (UX) research, and has he recently joined the product design team at Allstate. He hopes to make better experiences for everyone through people-centric research and decision-making.